Oh boy is this a decadent treat! 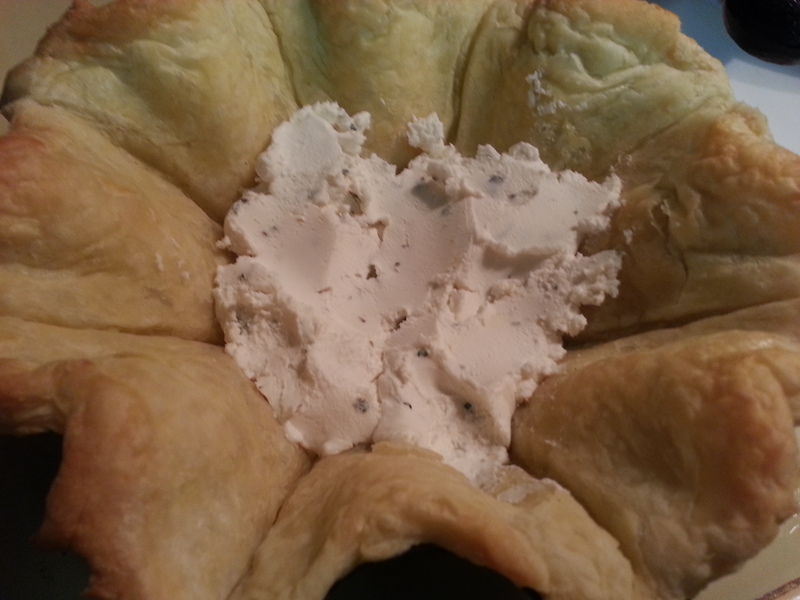 This mushroom tart I only whip up on special occasions … since it’s pretty fattening with the butter, cheese, and pastry. Everything in moderation right? Right! However, it is a wonderful dish to serve at a vegetarian dinner party. This recipe is from Step-by-Step Vegetarian Dinner Parties by Sue Ashworth. 12 ounces of mixed mushrooms, such as buttons, cremini, oyster and shiitake. See! Pretty! Even without fancy tart dishes. 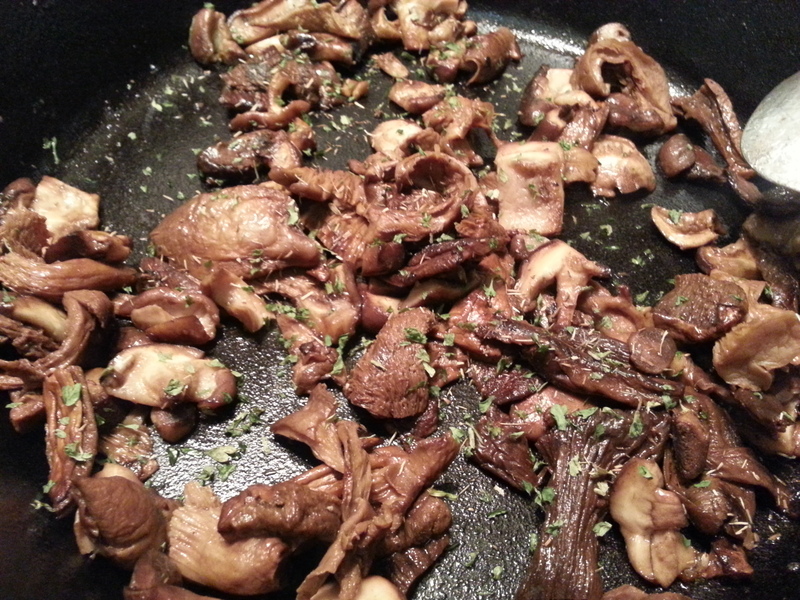 Add the mushrooms to the saucepan and cook gently, stirring frequently, for about 4-5 minutes. Add the chopped parsley, and season to taste with salt and pepper. 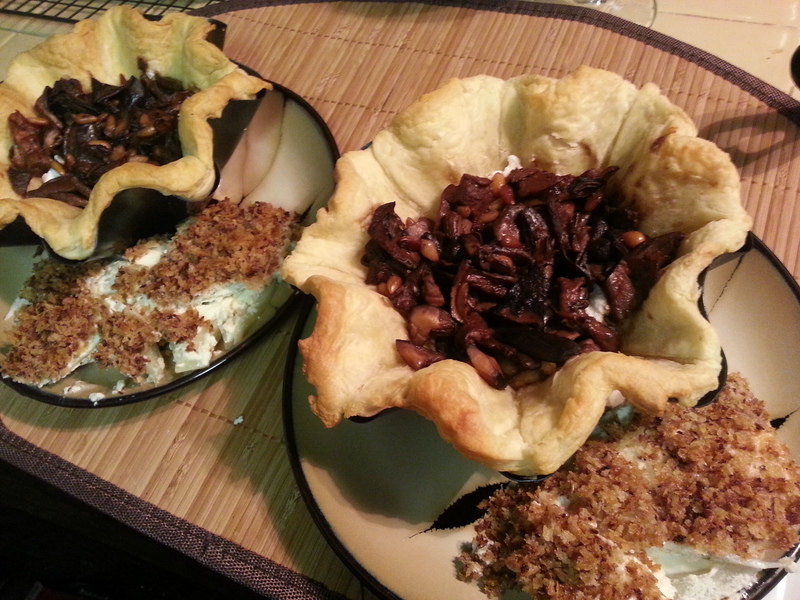 Spoon an equal amount of goat cheese into the base of each cooked tart. 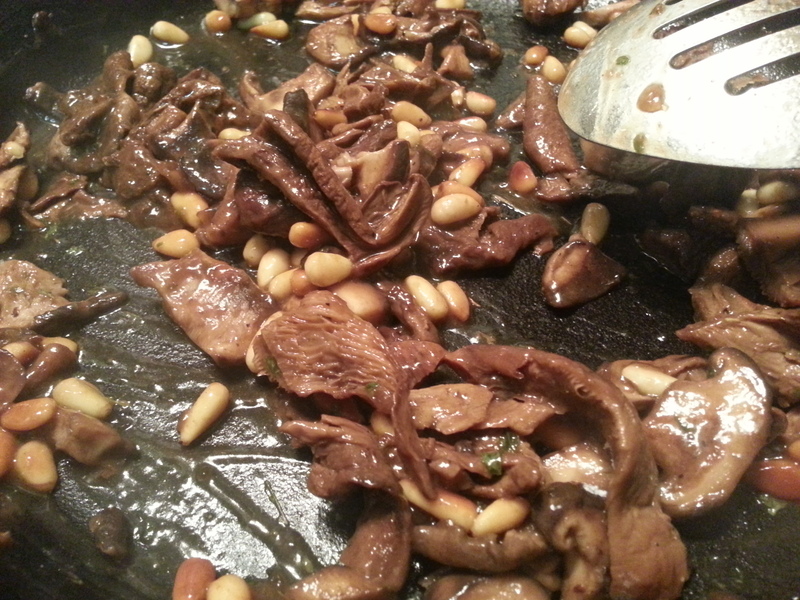 Divide the mushrooms between them, scatter the pine nuts on top. 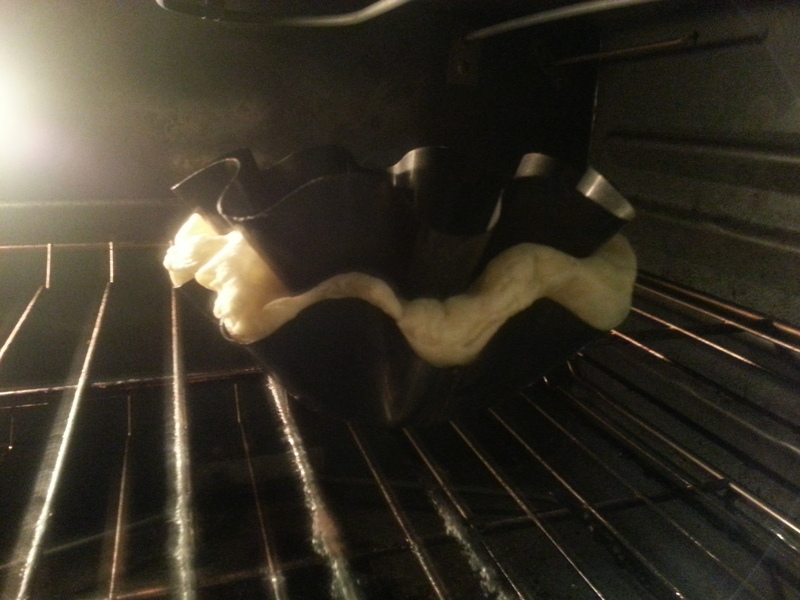 Return to the oven for 5 minutes to heat through, and then serve the, garnished with sprigs of parsley. 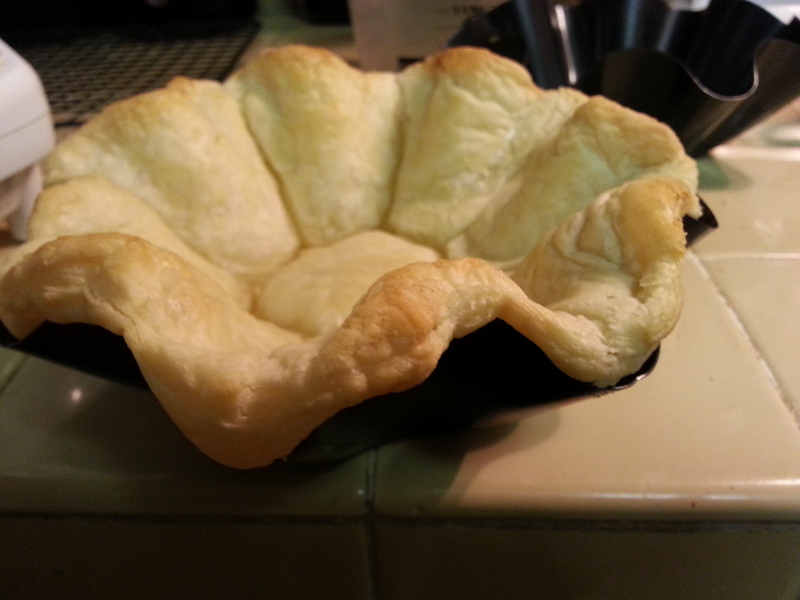 Serve with a small side salad … or in my case a side of Creamy Baked Fennel. Hello everyone and good morning to ya! Just a quickie post to show you some of the wrapping paper I made and to give you some design ideas. It was so much fun to sit down and color. If you don’t have any children … when was the last time you actually sat down to draw and color? It had been a while for me … but it brought back those warm and fuzzy feelings from 1st grade when you’re coloring your parents a picture for the refrigerator. I’m a silly kid at heart … what can I say!?! This is a great project to do with your kids, family, or friends. Pool your craft collections and come up with some great designs! I used what I had on hand in my craft box … I didn’t go out and buy anything for this. Get creative and look around your house to see what you can use to make some fantastic wrapping paper from your loving heart. And here’s what I came up with … you are only limited by your imagination. What are you going to draw??? Until next time, I send you peace, love, and good energy. Happy Holidays! I apologize for the lack of posts. I have been sick and it is finals week. Needless to say, my free time has been spent sleeping and resting. (Wait! What is “free time?? ?”) I have also been feeling quite sappy lately. Sort of “sad-for-no-good-reason.” I have little to complain about. I have a loving and kind partner, an amazing family, a great group of friends, a good job, and school isn’t too bad. I truly live a wonderful and blessed life. I could call this the “winter blues.” But whatever it is … I hope it ends soon – I have too much fun stuff to do! Anywhoooo – I wanted to give you some ideas for the holidays … so here’s a post that covers a little bit of everything! I have had enough extra time to put together some homemade holidays gifts for my loved ones. Living on a tight budget + having a lot of people you want to give to = homemade gifts. I will post how I made my gifts after the holidays – I don’t want to spoil it for those loved ones who read my blog. Trust me – these are gifts you can give for any occasion: birthdays, valentines, baby showers, bridal showers, mother’s day, etc. You can find some great homemade gift ideas here, here, and here. And of course … you can always follow me on Pinterest for more ideas. For my wrapping paper, I went into my craft box and pulled out some stamps and ink pads for making my own designs. I think I have a paint pen, too. They are so fun and easy to use. Another great gift idea is the giving of FOOD! Who doesn’t love food? You know you canned waaaaaay too much this summer, right? Well, I hope you did. You can take some of your extra canned jams, sauces, or veggies … Tie a cute bow around them and they make the perfect gift. The gift of your garden and hard work! Decorating!!! Oh man, I love decking the house out for Christmas … rearranging the furniture to make way for the tree … hanging the stocking on the mantel. Too much fun! This year I took some of my extra ornaments and hung them on the tree by our front door. It adds a nice little sparkle when the Christmas lights are on at night, or in the day when the sun shines on them. I also took some empty vases and filled them with pine cones, fake fruits, ornaments, and whatever else I just had to make beautiful decorations/centerpieces for the table or book-case. I’m not into the consumerism of Christmas. I think this time of year should be spent loving the ones you love … and then loving them some more. My family lives all over the U.S., so we get together and go skiing – no gifts, just making memories. Like the first year we started this tradition and my youngest brother got a bad concussion and was almost flown via helicopter off of the mountain. See! Fun memories! (He’s fine, by the way.) We also just sit around and play card games by the fire, or watch a movie together. If you must buy gifts, make them memorable. It’s not about the money you spent, it’s about the thought you put into what you’re giving. One year, me and my brothers got together and had some pictures taken, framed them, and gave them to our parents – they loved it. Whatever you do for the holidays, whatever traditions you have, whichever holiday you celebrate – do it with love, do it with your heart, and do it with a smile. Until next time, I send you peace, love and good energy. Happy Holidays.